Seductively simple, the Ghost offers the presence you'd expect from a Rolls Royce, underpinned by the latest technology in luxury car design. Ghost is the essence of Rolls Royce in its purest form. Every inch delivers on the power and intrique of sheer simplicity. This luxury rental car from Elite Luxury Rentals "looks natural...not styled," in the words of exterior designer, Andreas Thurner. It's powerful presence leaves no doubt that it has been cut from the same luxurious cloth as the rest of the Rolls Royce marque, which is, "exactly what we set out to achieve." The classic (iconic, even) Rolls Royce proportions are all present and correct; the 2:1 ratio of the height of the wheels to the height of the body; the long wheelbase and bonnet; the short overhang at the front balanced by a long overhang at the rear. These simple, classic lines have been identified with Rolls Royce's opulent luxury since the beginning of the brand, just as they are today. In a world that's constantly turning itself upside down, it's nice to know the elemental principles of quality, style and comfort never change. 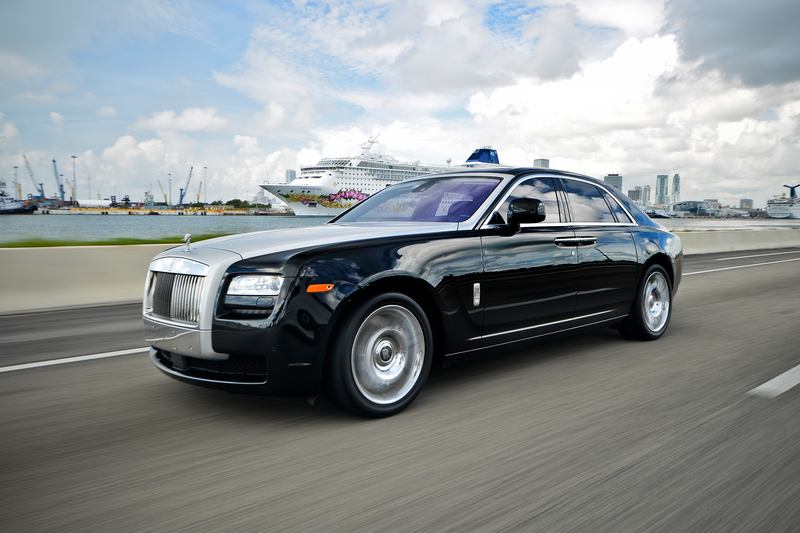 Experience the decadence of simplicity by driving a Rolls Royce rental luxury car for yourself. This is the "good life" at its very finest.